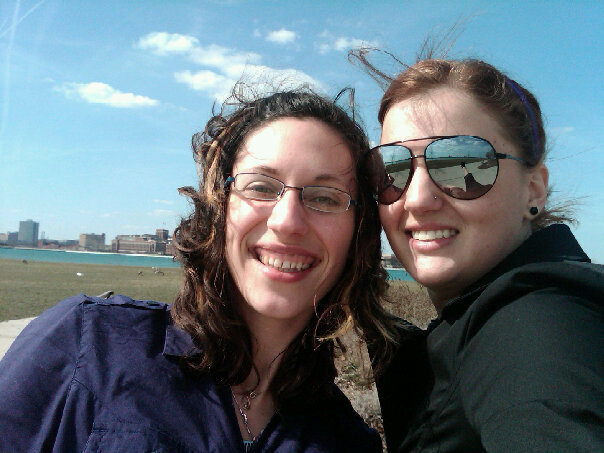 Jean and me a few years ago on Belle Isle taking a selfie before the rise of the selfie. Always ahead of the time. Today is Jean’s birthday! She is lucky since she loves Thanksgiving and she loves birthdays, so the end of November is pretty awesome for her. I will start this post with a story about Jean. I lived with her (and my brother) for several months before moving to DC. Jean is amazing at pilates and, when I moved there, had just completed a four minute plank. I made it my job to do at least a four minute plank. (And, whabam, I did…not sure I still can, maybe I should make that a goal again.) To be clear, we both go between high plank, low plank and side planks. I have never thought I was a competitive person. I’m very competitive with myself, but not with other people. When I hurt my foot in February I started swimming a few days a week and learned that I am actually quite competitive. If there is ever a person swimming in the lane next to me, I make sure I beat them. Usually I’m swimming next to a 70 year old man so I don’t exactly pick Michael Phelps to beat. 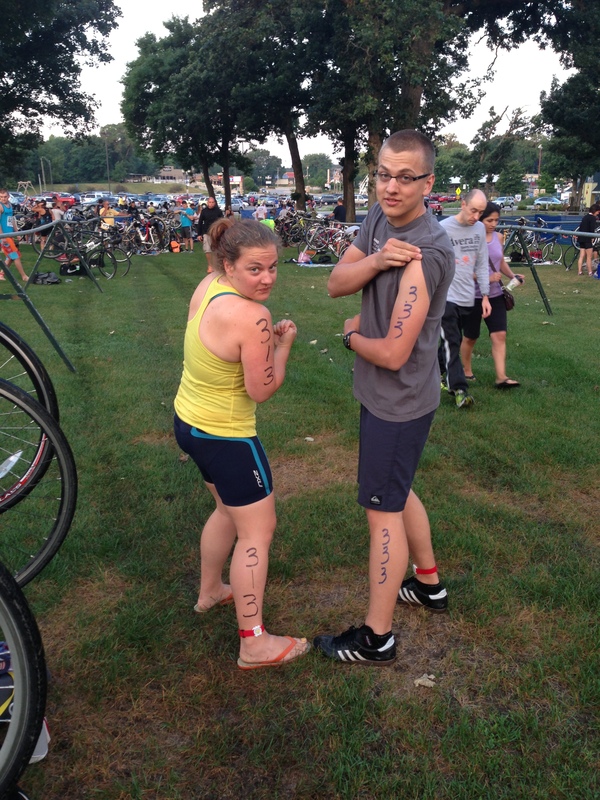 My brother and me preparing for our first triathlon last summer. I beat him on the swim! He beat me on the bike and run. Might be the only time I beat him at an athletic activity so I need to use it as often as possible. Last week I was swimming next to a younger man (I didn’t see him out of water, only through goggles under water so younger means somewhere between 20 and 50) but he was more like my speed. I was going to swim 800 and take a break and then do another 800 but I finished 800 and he kept going so I had to as well. I did stop at 1600 because I had other things I needed to do, but also because I’d already been swimming a bit before he showed up. So I still won. And was tired. I tell people I learned I’m competitive when I started swimming and nobody believes me. People who have known me for awhile can usually come up with other examples. I recently remembered the plank example and realized that maybe my competitive streak has been around since before February.